Do you know that Buddha's birthday is coming up? 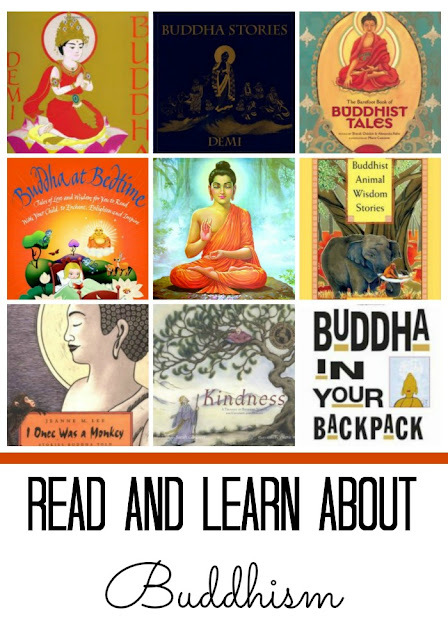 Introduce your kids to an inspirational story behind one of the most famous figures of the world's culture through books about Buddha and Buddhism. We are not a religious family, but we are determined to introduce our daughter to different beliefs around the world. 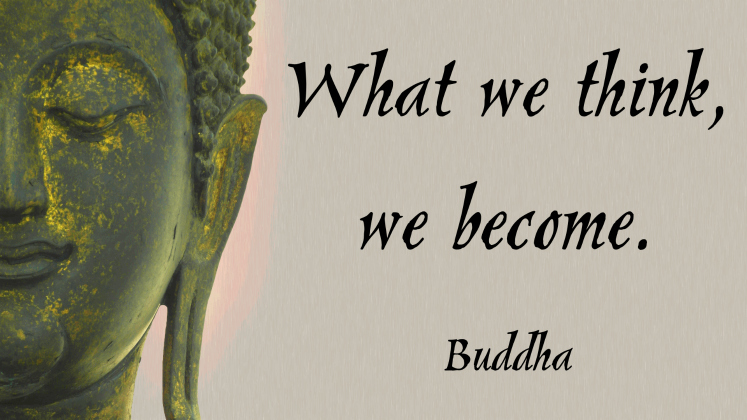 Smarty first met Buddha when she was 6, through The Story of the World audio book (I think it was Volume 2). The Story of the World gave a decent amount of detail about the transformation of Prince Siddhartha into holy man Buddha, and Smarty asked a lot of questions about him. Over years we read several great books about Buddha and Buddhism that I want to share here. Many efforts have been made to made these stories more accessible, but originally, just as European fairy tales or myths of many lands, they were not made with children in mind. You might want to read through the books first and possibly skip the stories that your kids might not comprehend fully. One such story, repeated in many books, is a famous parable of a beautiful woman and two monks at the stream. It's not inappropriate, but I don't think young kids will connect to the message behind it. We enjoyed many books by Demi, and Buddha was not an exception. 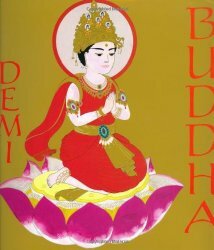 Demi's story is a pretty detailed picture book biography of Buddha - from his birth in the palace to his path to Enlightenment. The illusrations are very distinctive and beautiful, and we both enjoyed this book. However, it is fairly long and better suited for early independent readers or for kids age 7+. 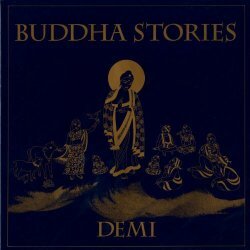 Buddha Stories, also by Demi, has monochrome gold-on-black illustrations that actually look quite striking in real life. However, because of low contrast, it might be a challenging book for early readers and better suited for read alouds. It contains 10 famous Buddha parables, some of which will repeat in the other books that I will share here. Buddha at Bedtime is probably the best book in this list for preschoolers. The stories are carefully selected and colorful illustrations will have more appeal for the youngest listeners. Still, it's not a picture book, since there is a fair amount of text on the page. What I like about this book is suggestions in the beginning on how to teach kids to meditate and how to discuss the stories with them. 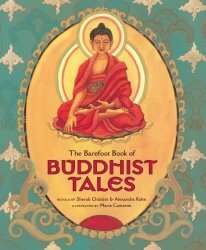 Buddhist Tales from Barefoot Books is an excellent collection of stories from different cultures. Each story is set in a different country (a couple of stories are set in imaginary lands), and I found them refreshingly different. Each story is also followed by a short parable. Parables went whoosh over my daughter’s head when we read this book together a few years ago, but she really enjoyed the tales and their illustrations. We own this book, and I saw Smarty reading it again several times, so perhaps she understands the meaning of parables better now when she is older. 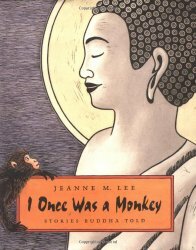 I Once Was a Monkey by Jeanne M. Lee is better suited for younger readers and listeners as the stories are shorter. The illustrations are black-and-white and complement the stories beautifully. As in other Jatakas stories, Buddhist message is woven into the story and they end with a moral statement. 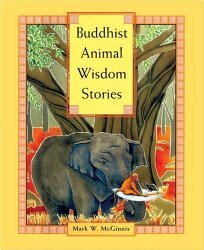 Here is another great book based on Jatakas - Buddhist Animal Wisdom Stories by Mark W. McGinnis. Illustrations in this book are gorgeous. Each story is short but dense in terms of both vocabulary and meaning. These stories do not explicitly state their moral lesson but open the door for great discussions with your kids. 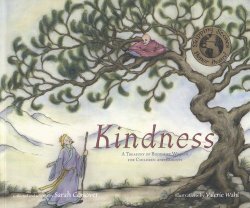 Kindness by Sarah Conover illustrated by Valerie Wahl is probably the most complete of the Buddhist collections I share here. Therefore, there is an overlap with other books. I would not call this book a picture book even though each story is beautifully illustrated in sepia tones by Valerie Wahl. 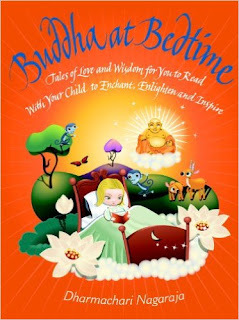 It will make a great read when kids study the concepts of Buddhism in school or as part of ongoing conversations in your family about universal values of mankind. We liked this book so much that I am considering getting it for our own home library. 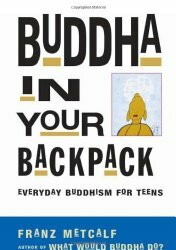 We haven't read Buddha in Your Backpack yet, but I heard great things about this book and added it to my ever growing list for books to introduce to Smarty when she approaches teen years. 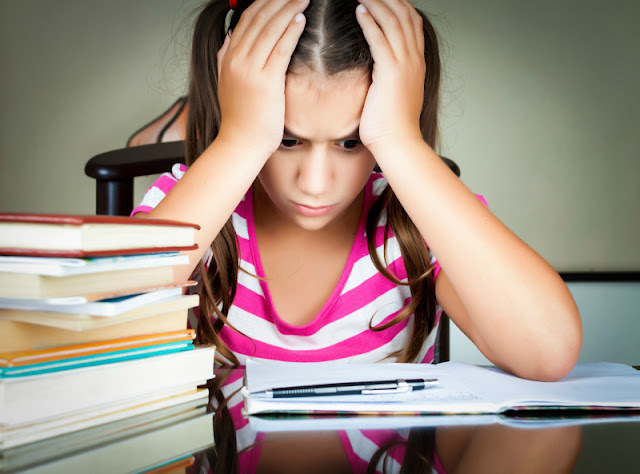 If you already have teens, it's definitely worth a look! Have you read any Buddhist stories and discussed them in your family? Wow! That's a lot of Buddha books. Kindness looks good....might have to get that one. Demi books really are the best.